These options are only available for Organizations. Individuals will not see these settings. A. 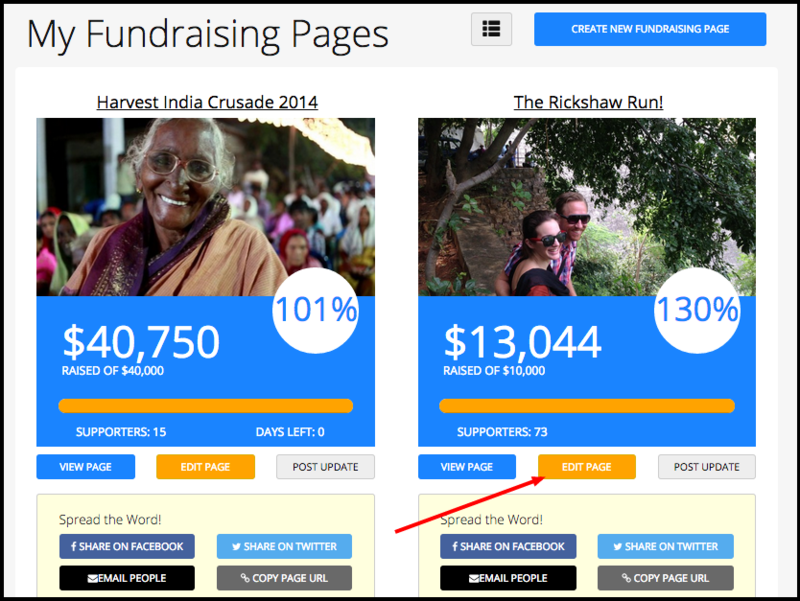 If you wish to allow people to create fundraising pages in support of your fundraiser, check this box. If you wish for your main page to be the only one, then uncheck this box. B. 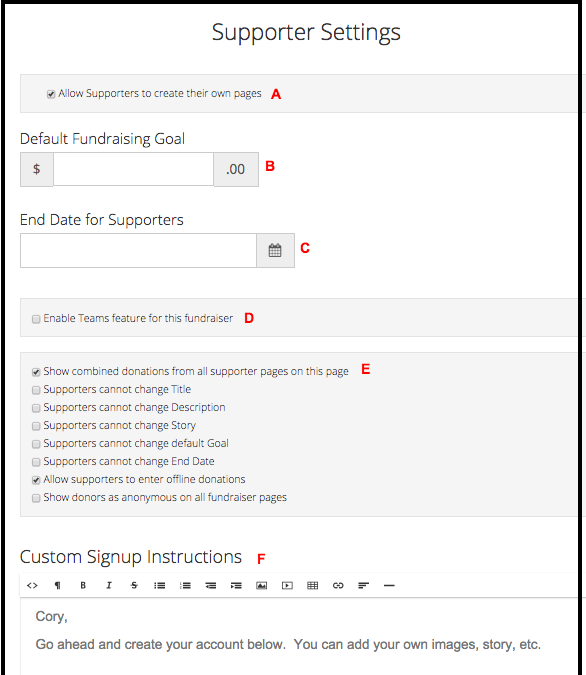 You can set a default fundraising goal that will automatically appear on all of your supporter pages. C. You can pre-set the date their fundraiser will countdown to. D. If you wish to allow people to fundraise as teams and allow for team totals to show on your fundraiser, check this box. If not, people will just fundraise individual and teams will not appear. F. If you wish to provide customized sign up instructions, you can do so here. For example, provide suggested fundraising goals, information about your organization, etc.